(May, 2014) Bob McKinney lives on the east coast of Canada. He was trained as a classical pianist but found an interest in other genres of music that led him to performing in jazz groups, big bands as well as solo performing. Bob has played for stage shows involving circus acts and many celebrity performers as an accompanist. His musical travels have taken him to venues in Canda, the U.S. and Great Britain. 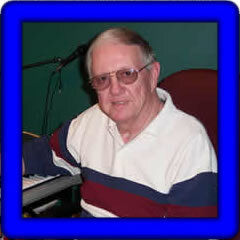 Originally his primary instrument was an acoustic piano then moved on to Yamaha organs and now Yamaha's Tyros keyboards. His latest instrument is the Tyros5 76. Bob has provided 10 songs in midi format. These were created on the PSR-2000 (2k). Individual songs are shown in the table below and any one song can be downloaded by right-clicking on the song link. You can download all of Bob's MIDI songs in two files: RM-20.zip. The table displays the song title, tempo (T), time signature (TS), lyrics (L), chords (C), where possible, the style used, the original volume (V), and the keyboard used (K). The list below includes all of Bob's songs arranged alphabetically by song title and keyboard. Click on the song title to listen to and/or download the song.